Rush Plumbing & Rooter – Cant Flush? Call Rush! IF YOU CANT FLUSH CALL RUSH! | ALL PLUMBING SERVICES LOS ANGELES, CA. 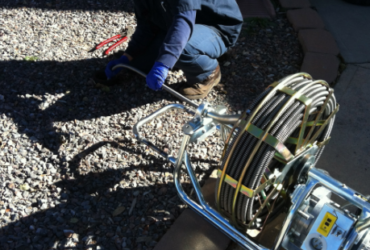 We Specializing in Sewer Replacement Surveying Los Angeles Over 30 Years , Give us a Call Today for more information! All Plumbing Services, Surveying Los Angeles & SFV. Rush Plumbing have reliable, professional and experienced teams and are there to provide you with the best Plumbing services for Commercial and Residential in the Greater Los Angeles, CA. and San Fernando Valley. We are fully licensed, bonded and insured. 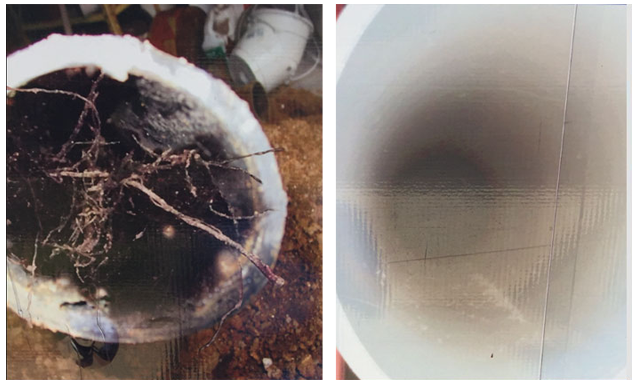 Blocked drains and sewer pipes can develop mold, bacteria, and mildew. This can sometimes be a health risk for home owners. 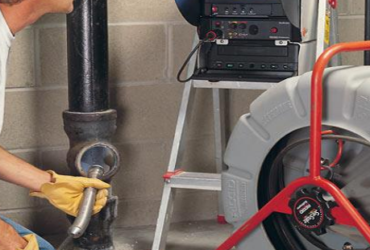 Rush Plumbing utilizes innovative technologies such as specialized sewer cameras. We are also eco-friendly and very careful about chemicals that could cause corrosion. Rush Plumbing Los Angeles also provides copper repiping services, water and gas leak detection, sewer inspection, service on faucets and fixtures, and any other plumbing job you might need. 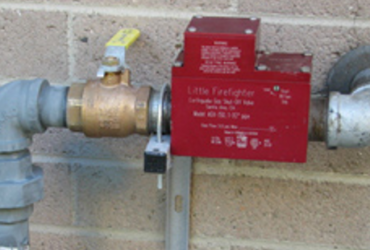 Earthquake shutoff valves are used to shut off a home’s natural gas in the event of an earthquake. If one is not installed, an earthquake could cause a gas leak, which is a huge safety threat to home owners. One of our qualified plumbers can properly install or repair one for you. Don’t wait until the next one! 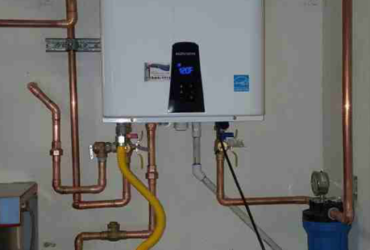 Tankless water heaters take up less space and consume less energy than conventional water heaters. Rush Plumbing is certified to install these advanced products in your home, as well as any other water heater. 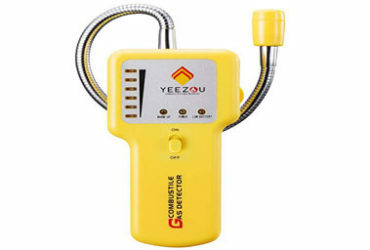 The photo above shows a conventional water heater. Leaks can places around your home: in the attic, concrete slab, inside your walls, or under your house. These hidden leaks can cause severe damage to your property, from major pipe problems, to toxic mold in your walls. 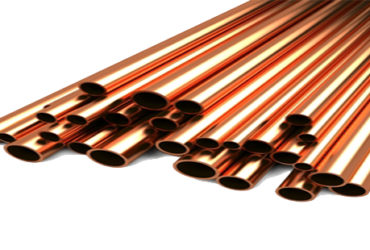 With PEX or Copper repiping for your House plumbing system, it will help to eliminate mold and other damages. Rush Plumbing Offers Gas Leak Detection Service for the grater Los Angeles including SFV Area. We are 24 hour Plumbing Company License and insured. Call Today. Since 1985 Rush Plumbing & Rooter. we take pride for our jobs for residential and commercial customers in the Greater Los Angeles California. Our Plumbing & Rooter company Servicing Entire Los Angeles Whether you need a leak fixing or Sewer Replacement We here 24/7…. let us put our proven skill and experience to work for you! Here are a few of the recent projects we recently performed for our satisfied clients. Here is a brief overview of projects we completed over the 30 years we have been working around the greater Los Angeles area and the surrounding cities. We just love what we do! Rush Plumbing Woodland Hills will always finish the job on time and as expected , Whether your project is commercial or residential, new construction or an existing building, home, apartment or condominium community. Call Rush Plumbing Your local plumber Today. Rush Plumbing & Rooter Woodland Hills offers you the highest standard in plumbing Services. We carry standard Liability Coverage of $1,000,000 for most residential and commercial customers with additional coverage available if required. Rush Plumbing & Rooter offers FREE Consultation. One of our professional experts will meet you at your Job site and will provide with a FREE consultation. We always perform the best job we can in a timely manner and work within your project schedule. We are always here to provide you the best customer plumbing service solutions to fit your need of your project. Below are a few of our client reviews from homeowners to contractors, we always provide excellent service and stand behind our work. Rush Plumbing Servicing Entire Los Angeles provides a free consultation to contractors with any type of project, Commercial Or Residential Plumbing Jobs. We are License Bonded & Insured. All plumbing services Los Angels. Call now for more information. Rush Plumbing & Rooter Woodland Hills provides FREE estimates for any type of project that requires Plumbing in Greater Los Angeles area. Submit Form to get started!